As autumn turns to winter, it is particularly important to provide clean water and feed to keep your garden birds happy and healthy. 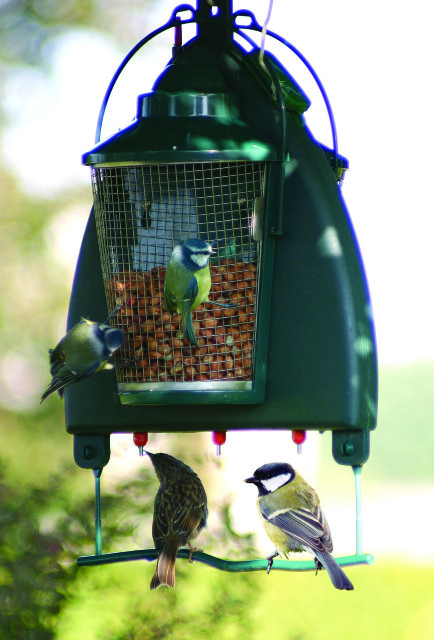 A 3-in-1 garden bird water feeder is ideal to keep your bird feed, peanuts and water safe from contaimination from doppings. Although attractive, bird tables and bird baths, even if cleaned and emptied daily pose a health threat due to bacteria and parasites. The Quill Garden Bird drinker will help you with feeding garden birds in winter as well as providing clean bird water. It can be made squirrel proof with the additional squirrel baffle.